The Snooze Button Generation 2019: I love the Indians more than ever now! I love the Indians more than ever now! I just see no way how the Tribe does not win Game 7 of the 2016 World Series if it were 50 degrees, like it should be in Cleveland on Nov. 2. Our pitching would win over the bats. It would be too cold to hit. We'd probably sneak by with a 2-1 victory. Instead, it was a calm, warm 69-degree night throughout the game. The ball was carrying out, and the Cubs defeated the Tribe 8-7 in a 10-inning thriller in Game 7 of the World Series to overcome a 3-1 deficit and become world champs. Unlike 1997, I am not curled up in a ball in my New York City apartment, weeping, after a cruel 11-inning loss in Game 7 to the godforsaken Florida Marlins. This time, I accept the fact that the Indians lost a 3-1 series lead, did not win the World Series and lost in extra innings in Game 7. Of course, a lot will be made of god intervening with a 17-minute rain delay in between the ninth and 10th innings to take away the Tribe's momentum. Maybe God did intervene. But I contend that America's god — money — intervened more, and my Tribe deserves mad props for what it did. The fact that my Tribe nearly won the World Series with a $98 million payroll against a team that has a $167 payroll makes me smile. Major League Baseball is an uneven playing ground. The Tribe also beat the payroll of the $199 million Boston Red Sox in the ALDS. And we won the AL Central over the $199 million payroll of AL Central rival Detroit Tigers. Turnabout is fair play. The Cavs came back from a 3-1 deficit to win the 2016 NBA Finals. The Indians gave up a 3-1 lead in the World Series. So be it. In my lifetime, the Tribe is now 0-4 in World Series close-out games. The Tribe is also 0-2 in extra inning Game 7s during my life. But somehow, through it all, I feel that my love for the Tribe has only become more intense because of those facts and this season. We're talking baseball. We're talking Tribe! ... 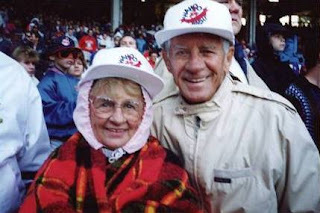 I care deeply about my Cleveland Indians, and I am certain that fans in New York, Chicago and Los Angeles do not have a relationship that compares to mine with the Tribe. I am not taking anything from the Chicago Cubs and their championship. Congratulations! You just ended a 108-year drought of winning the World Series. The Cubs deserve credit where credit is due. I have nothing against the Cubs. But this is a story about the Cleveland Indians, love and what it means to follow a major-league team in a small market. This is something people in New York, Chicago and L.A. will never have. I highly doubt anyone's high school in those markets ever experienced having half of their high school walk to opening day and watch the opener. I did! This World Series has only confirmed my love for the Tribe. There's something to be said to be always rooting for the underdog. That's called loyalty. There's something to be said for listening or watching approximately 80 Tribe games per year, every year, even when you live in Los Angeles. That's called love of baseball, love of the Tribe and loyalty. Thank you so much, Tom Hamilton, the voice of the Indians, for giving me another great year of love, hope and even a World Series! The Tribe made it to the seventh game of the World Series. We lost. But this was absolutely, 100 percent the best baseball season of my life. Yeah, the Tribe lost, but I think it proved something. 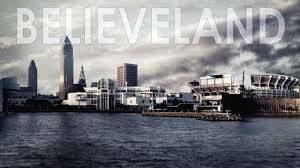 We are a lovable team, a lovable franchise, a lovable city. New York, Chicago and L.A. will never have what I have. You guys got the population and economics. We got the heart. Thank you, Tribe. I love you. The article is very interesting in the read, hopefully useful information for the crowd..